In our last blog post, we talked about some top ways to go through those items at home that matter most to you and decide what needs to go and what can stay. 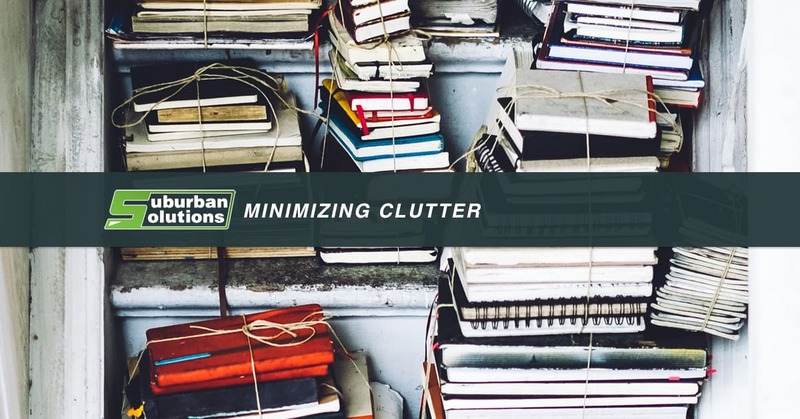 After you sort through the large items and call the junk removal professionals at Suburban Solutions, we recommend that you start tackling the smaller stuff. Whether you are looking to just freshen up your home or you and your family are moving elsewhere, we are the team to call! 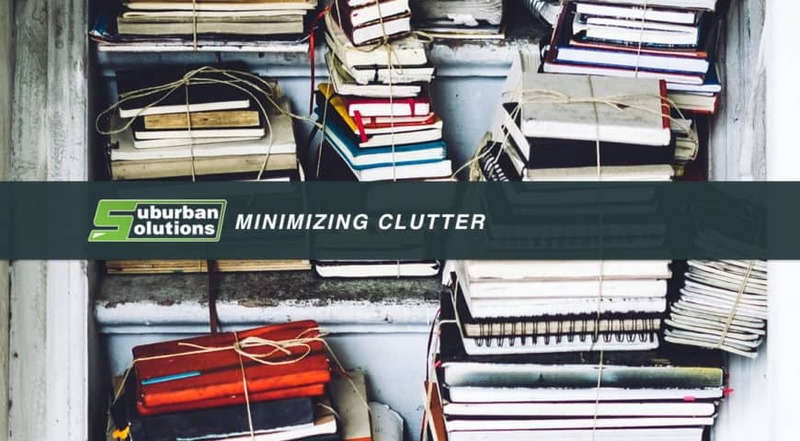 When it comes to kicking your clutter habit, take a look at these tips and tricks and see what might work for your home. Do you have any old photos or documents you’ve been holding onto? It might be time to harness the power of technology and start digitizing your stuff. You can scan your photos and organize them. We just recommend uploading them to a safe place online where they won’t disappear when your computer fails. Do the same thing with semi-important documents and feel free to shred the originals if you no longer need them. For more important documents, pack them away in a fireproof box. You can also use technology to digitize your movie and music collection. You no longer need to live with a giant CD tower in your home when you can rip all these files to your computer. The same goes for DVDs if you feel comfortable doing so. There is nothing wrong with holding onto these items, especially if you watch or listen to them frequently. However, keep in mind what their place is in your home. 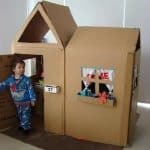 Some items mean a lot sentimentally, but they have no use whatsoever—or worse, they are an eyesore that takes up too much space. You may have also received an item as a gift and now you feel guilty getting rid of it, even if you never use it. Go ahead and take a photo of the item and keep the photo instead. You can always look at the photo and remember how the item made you feel. Some books are special, and we understand if you can’t part with them just yet. However, do you find yourself hanging onto college textbooks just because they were expensive and they remind you of your achievement? Books are heavy, and they can take up a lot of space. You can always make a shadowbox of the book covers and donate the rest. Or, you can purchase an ebook version if you believe you will want to read that book again in the future. Digital e-readers are small, and they can hold as many books as you need them to! It can be difficult to part with some items and think about them going to a stranger’s home—a stranger who has no idea how much that book meant to you in high school, or a stranger who will never understand that the chip on the bookshelf is from a fight you got into with your younger brother as a kid. Because of these memories, it’s sometimes easier to give these items to a friend or family member who wants to keep them. This is a great idea if you have a friend or family member who needs what you are giving away! You will know that your items won’t end up in a landfill, you get your space back, and they get a free gift! Also, if you miss it that much, you can always visit that item in your friend’s home. While some things are not really worth selling, others can be! Think of all the money you can earn by selling your unwanted stuff? The more you sell, the more money you will make. This can be especially helpful if you are hoping to save for an upcoming trip or project. Try either Craigslist or eBay and see how much you can make. While it can be tempting to go buy new containers and other storage spaces designed to minimize your clutter, your space may be just as cluttered when you add baskets and shelves to your room. However, always think “up” when organizing: wall-mounted shelves are a great idea. Before you buy these “organizational” items, ask yourself if you have a specific use for this item and if it will actually improve your organization. 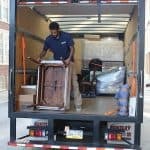 It’s easy enough to go through your items and get rid of your stuff, but the organization should only come after you’ve made the decision on what to keep and what to get rid of. If you start to organize your clutter, you are more likely to keep items that you may not have chosen to keep before you began organizing the space. Also, you need to change your habits as well. If you stick to the behavior that caused so much clutter in the first place, you will continue to muddle up your space. Before making a new purchase, ask yourself what you are going to get rid of in order to make room for the new item. Just be mindful before you take a new item home, and really ask yourself if it is going to improve your quality of life in some way. Once you have all the old books and movies that you no longer want, call our junk removal team! Clearing up pace in your home is the perfect way to help you and your family feel more at ease and relaxed in your space. Eliminate the stress that comes with losing your space to unnecessary items! 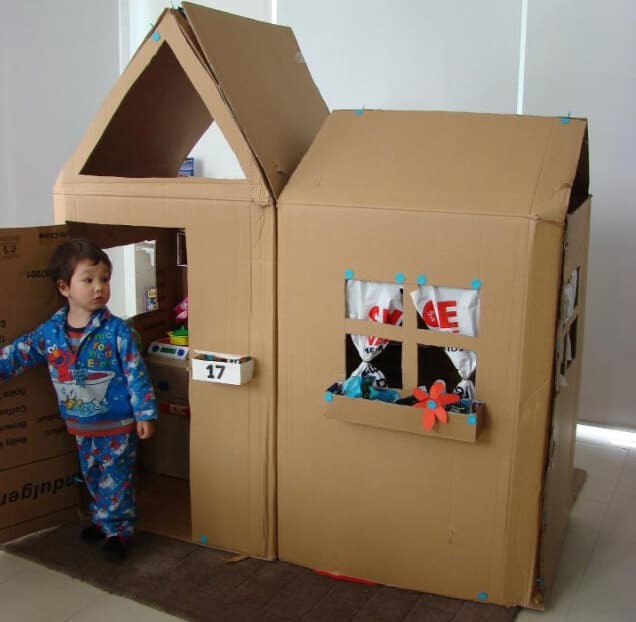 We at Suburban Solutions proudly serve the Philadelphia area, and we want to help you take care of your home. 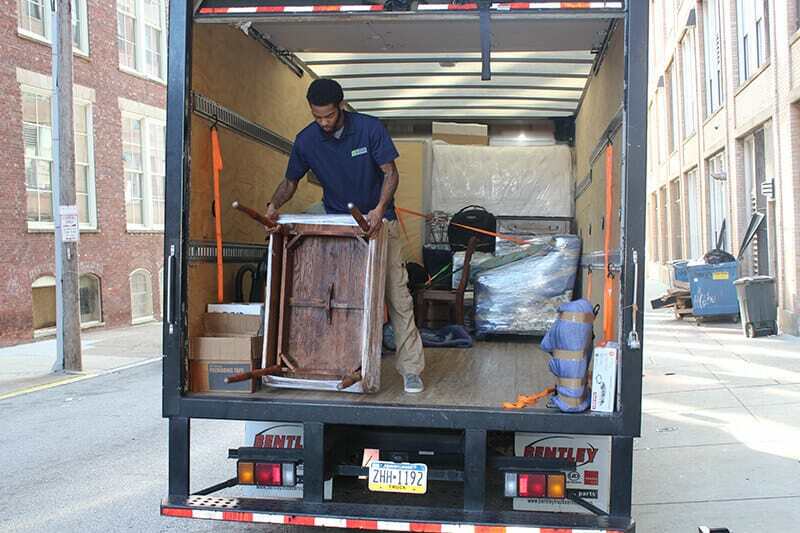 Whether you are moving, looking for cleaning services, or you are hoping to have us handle junk removal for you, we are the one-stop shop to handle it all. Contact us today to get started.